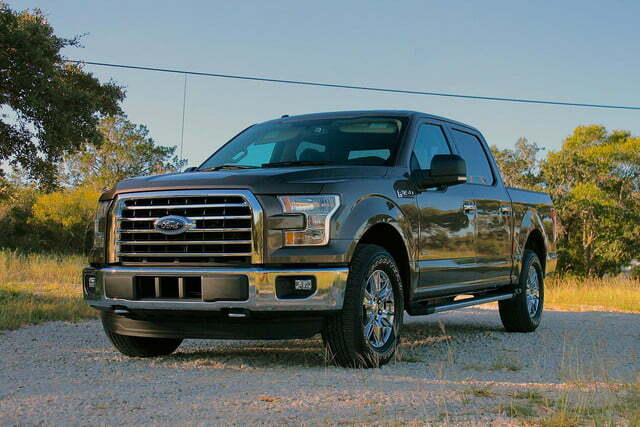 With its cleverly designed ergonomics and superb EcoBoost engines, the Ford F-150’s dominance over the full-size pickup class isn’t going anywhere. As I reached the end of the dragstrip, I gently applied the brakes and flew into the first corner. The attached autocross course was compact and winding, not exactly home territory for a full-sized pickup, but there are worse ways to spend a Thursday night. 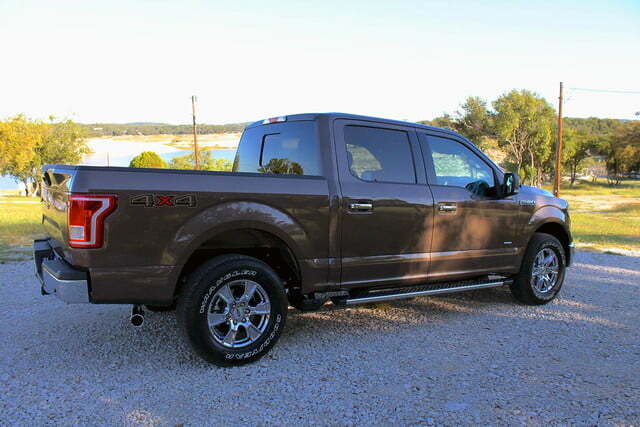 Reaching the apex, I slammed the gas, spooling the 2.7-liter EcoBoost’s turbos and causing the back end to slide around. Through the open window, the smell of burnt rubber and barbeque filled my nostrils. “Welcome to Texas,” I thought to myself. 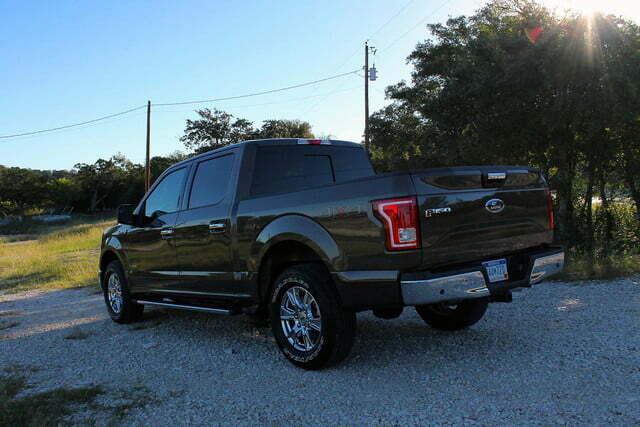 Drag racing and autocrossing probably aren’t the first things one thinks of when looking upon an F-150 pickup, but that’s how Ford introduced it during the vehicle’s San Antonio-based first drive event. 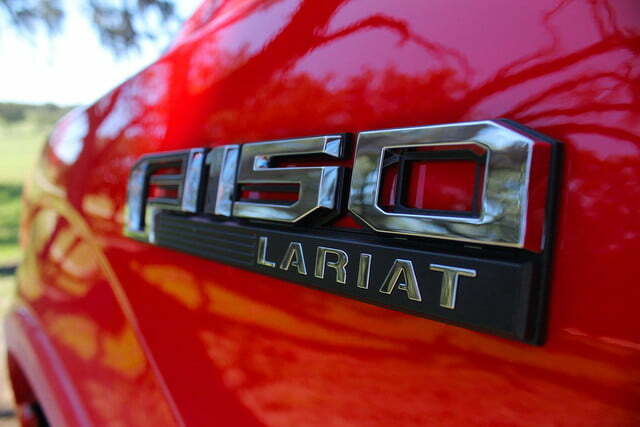 Sure, it’s a clever way to showcase the 2015 model’s 700-fewer-pound aluminum body and new EcoBoost engine. However, what it actually about was putting a smile on my face. 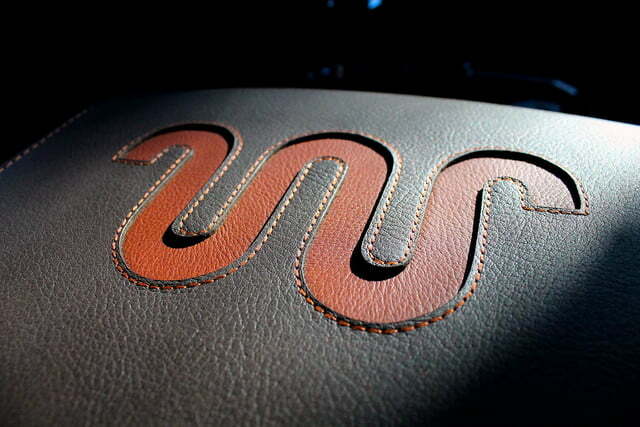 After all, first impressions are lasting impressions, as they say. 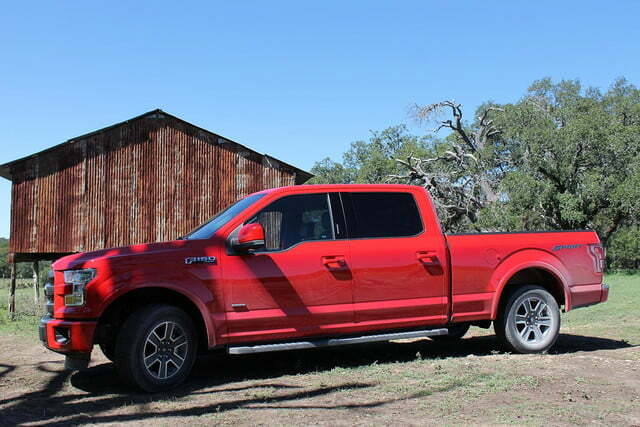 The term ‘all-new’ is used quite liberally in the automotive world, but rarely does it carry as much weight as it does on the 2015 F-150. 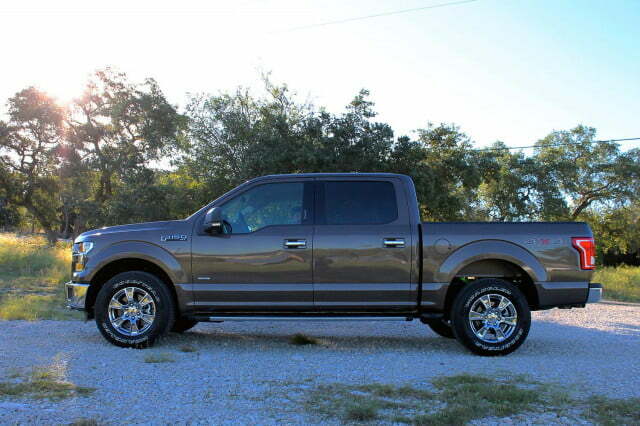 The high-strength steel frame, military-grade aluminum alloy body, 2.7-liter EcoBoost V6 engine, and array of ergonomic materials are all new for 2015. 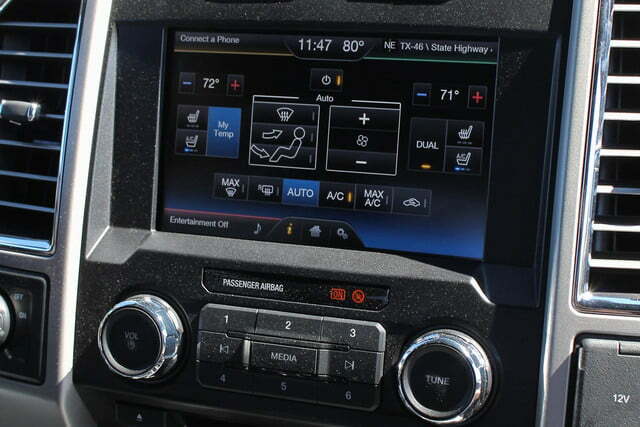 If the truck were a video game, the 8.0-inch Productivity Screen would be its health bar. When climbing into the truck, the first thing occupants will notice is the 8.0-inch Productivity Screen sandwiched between the instrument gauges. From the readout, drivers can track fuel usage, transmission and engine temps, and towing status. If the truck were a video game, this would be its health bar. 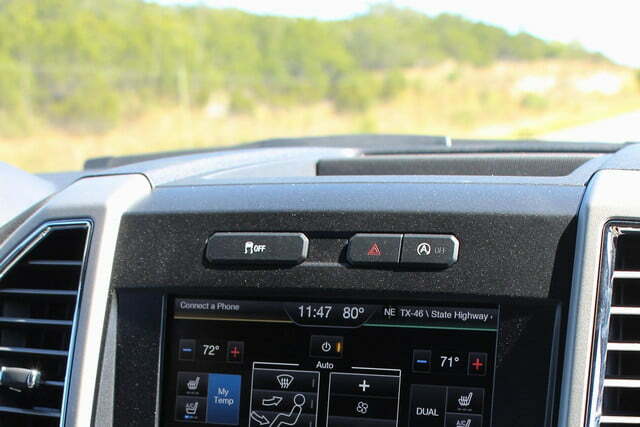 Drivers can even monitor off-road conditions through Productivity Screen. ‘Productive’ or not, it was pretty cool to watch it measure pitch, yaw, and steering angle as we thrashed the capable F-Series through the mud pits and streams that surround San Antonio. 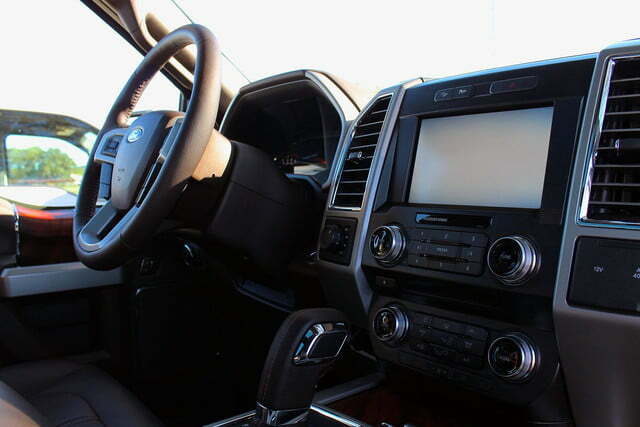 The available 360-degree camera is also new, which is helpful for parking, maneuvering around obstacles, and lining up a trailer hitch without a spotter. 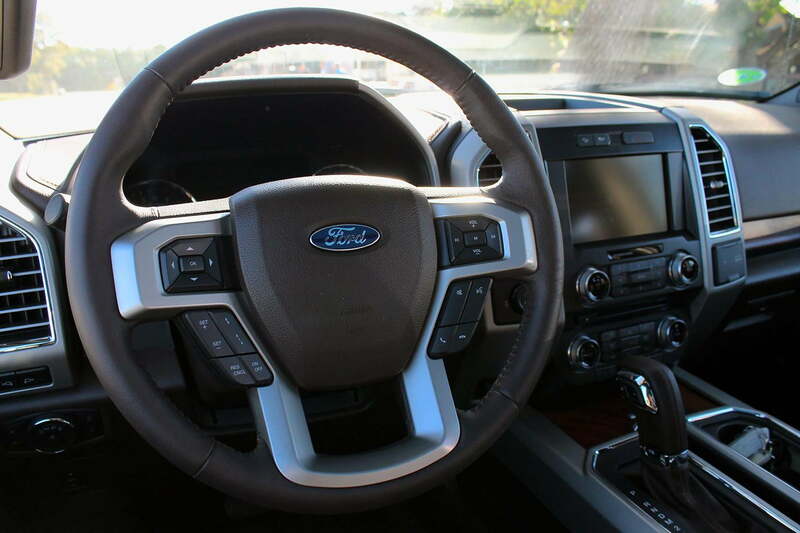 If the driver is still worried about dings and scratches, the F-150 also equips Active Park Assist as an option. Out back, there’s a trick remote tailgate with an integrated step. Owners will find the nifty Box Link storage system there as well, which uses built-in reinforced plates to function as tie down spots or anchors for bed dividers. 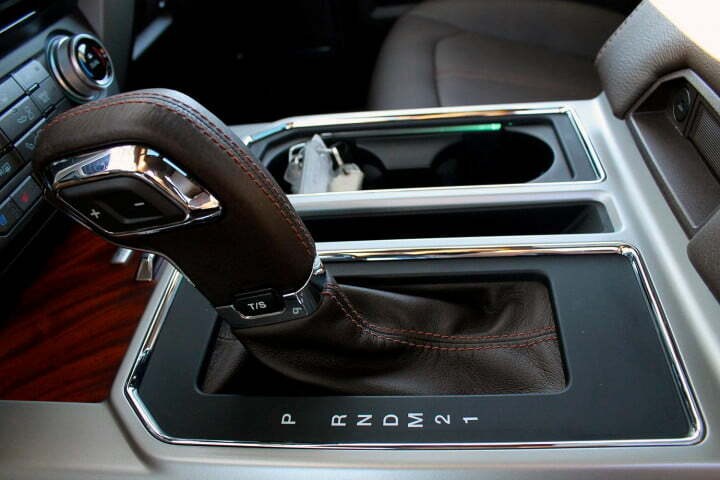 Heated and cooled massage seats, a panoramic moonroof, Adaptive Cruise, and Lane Keep Assist are also options. 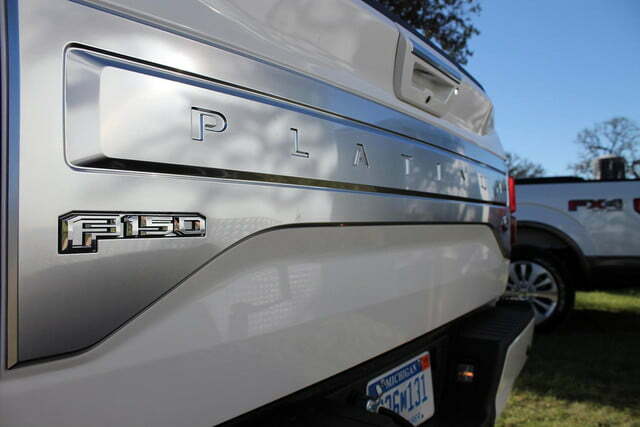 Normally, the abundance of new features would weigh the big truck down, but with a 700-lb deficit thanks to the new body, passengers won’t even notice. 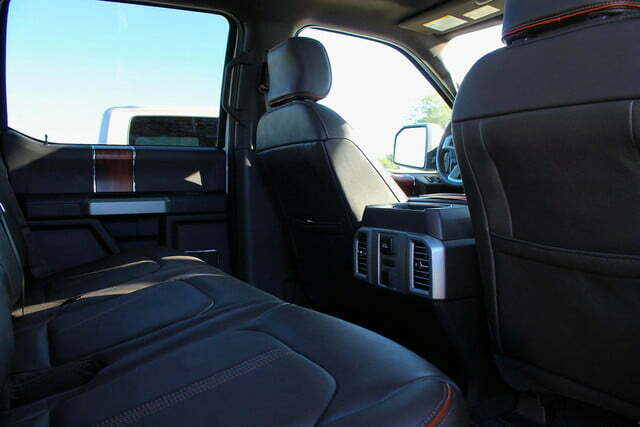 Because many F-150 owners commute to and from the jobsite in their rigs, Ford made sure the cabin was roomy (wider by two inches), tough, and ‘9 to 5’ friendly. 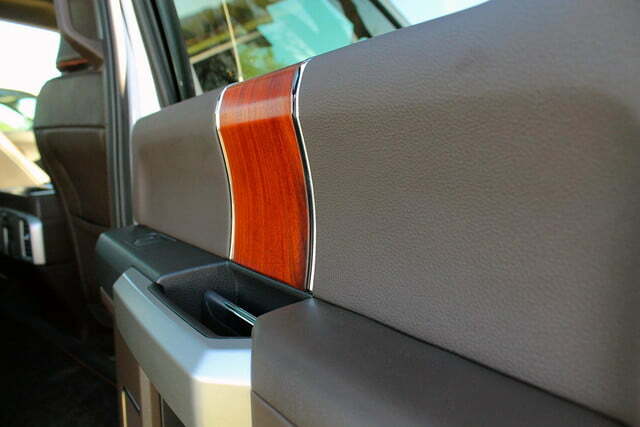 The chrome trim that lines the air vents was digitally modeled and angled to reduce sun glare. To accomplish this, nearly every function on the main touch screen has a large button counterpart, which is important for those with dirty hands or work gloves. 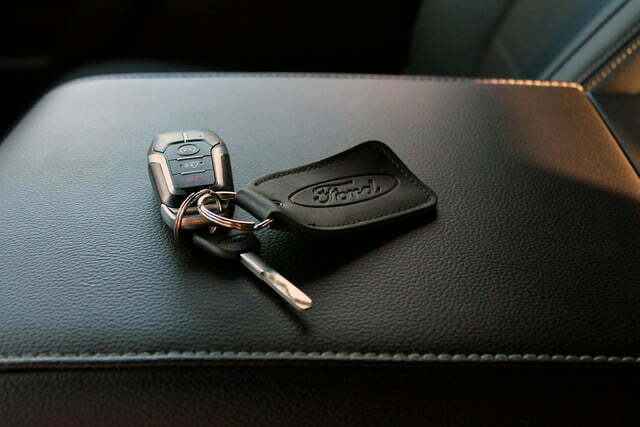 The interior may look a tad busy because of this, but there’s a means to an end there. The floor is also flat to accommodate toolboxes, and the armrests are strategically placed level to the center console, keeping occupants comfortable on long drives. Outside, there are bright LEDs inside the bed and on the side mirrors. 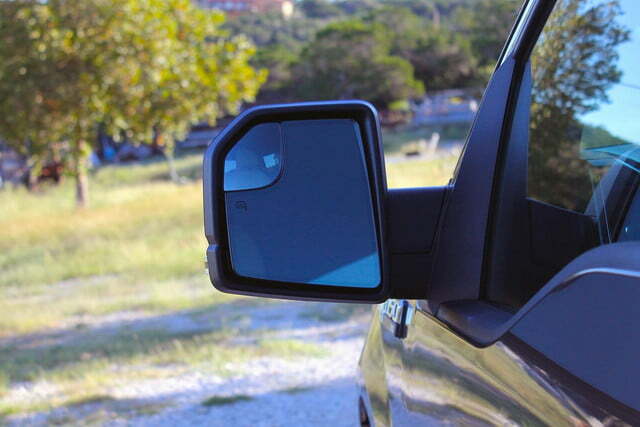 In combination with the truck’s 170-degree rear doors, loading and unloading in tight or dark spaces is a snap. 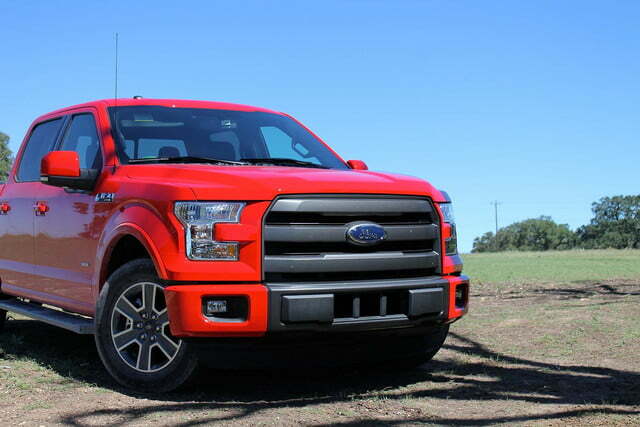 Because of the F-150’s massive historical success, Ford can pour massive amounts of funding into market research and focus groups, which results in a lot of small, intricate conveniences that most brands simply gloss over. 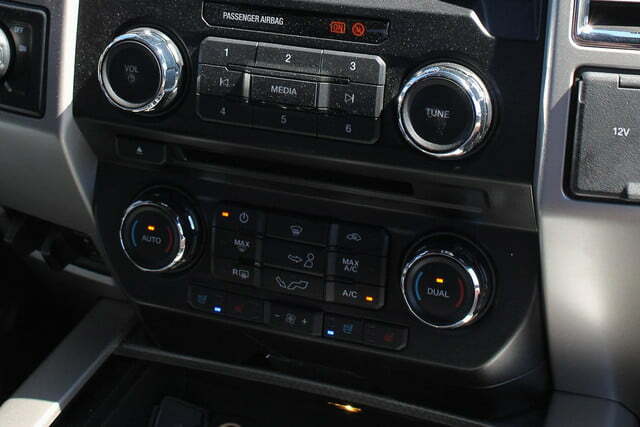 My favorite example: The chrome trim that lines the air vents was digitally modeled and angled to reduce sun glare. I’d like to meet whoever suggested that one, but not sit next to them at a dinner party. 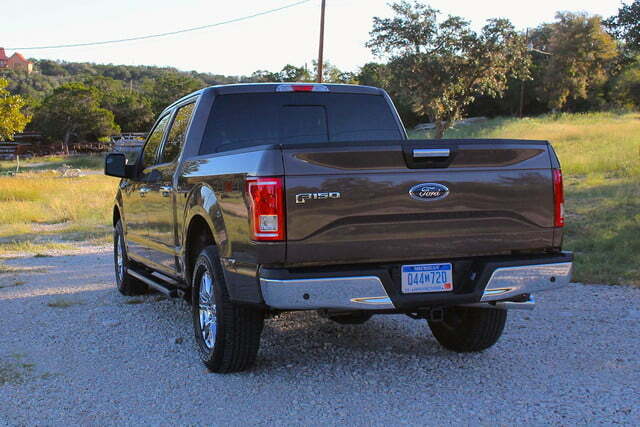 The F-150 may be a workhorse for the 21st century, but this is still very much a pickup truck at heart. 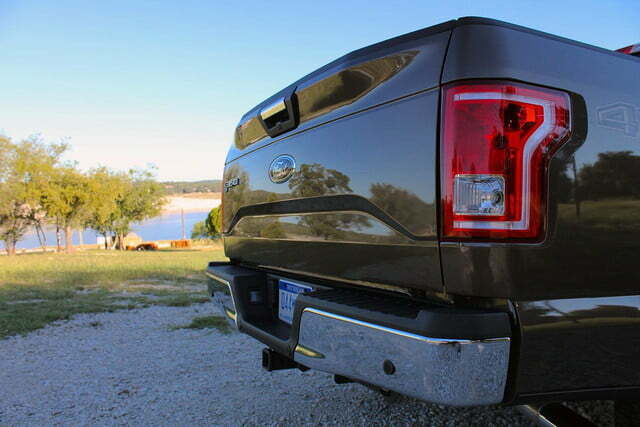 The new aluminum body saves the weight of three refrigerators (or a grizzly bear, depending on which Ford employee you ask). 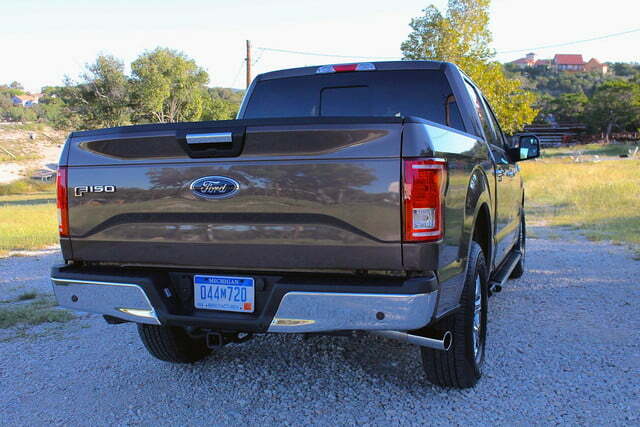 Despite having a body that saves the weight of three refrigerators (or a grizzly bear, depending on which Ford employee you ask), the F-Series’ frame is actually stiffer than its predecessor’s. 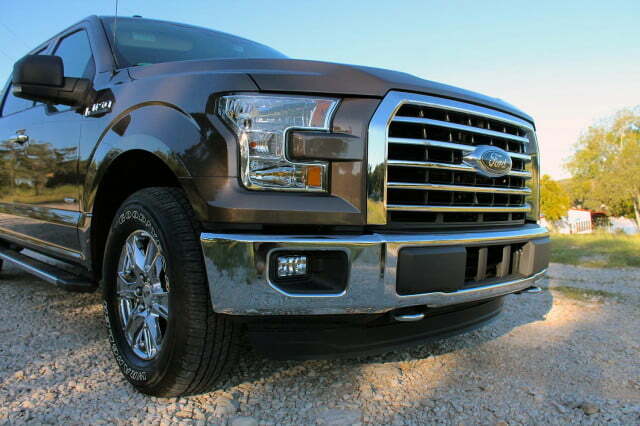 That, in conjunction with the 420 pound-foot grunt of the range-topping 3.5-liter EcoBoost, means the 2015 model has a best-in-class towing capacity of 12,200 lbs. 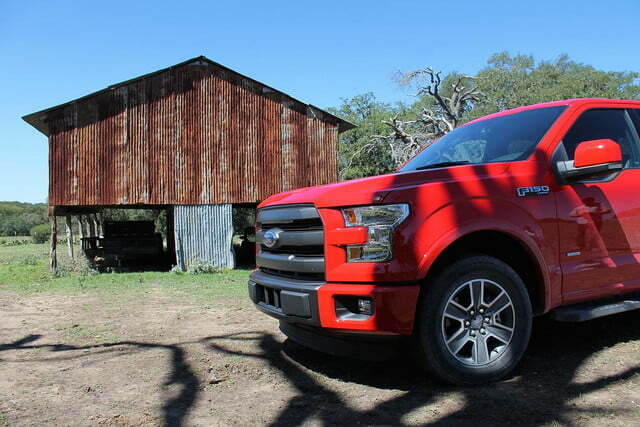 As part of our test, we hooked the Ford up to a 9,000-lb horse trailer and gave it the beans. It didn’t even break a sweat. 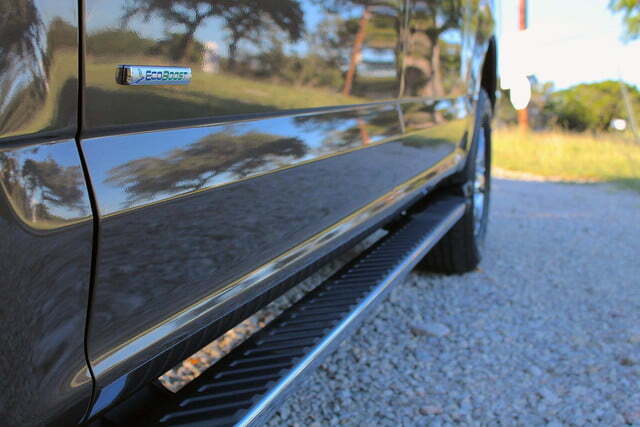 As a comparison, though, we tested a 5.7-liter Dodge Ram HEMI alongside it. 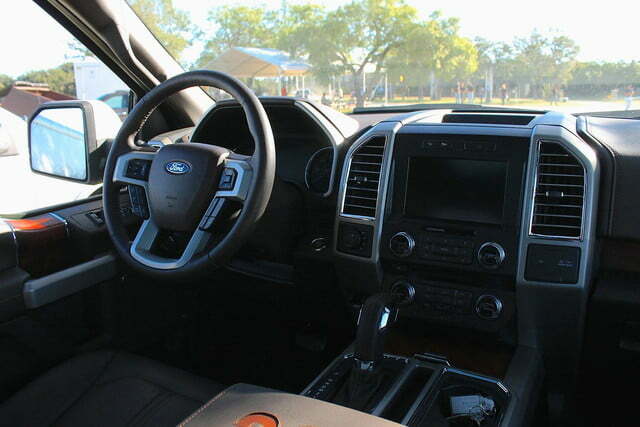 While the Dodge’s engine, steering, and brakes held up great, the Ford felt much less lurch-y and its transmission was noticeably smoother. 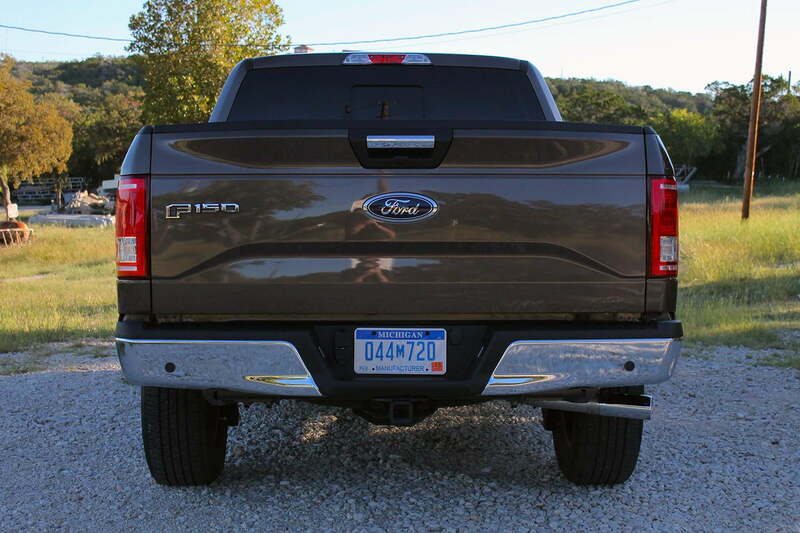 Over the outgoing model, the 2015 F-150 also has an improved ground clearance of one inch, despite a 15-mm lower center of gravity. 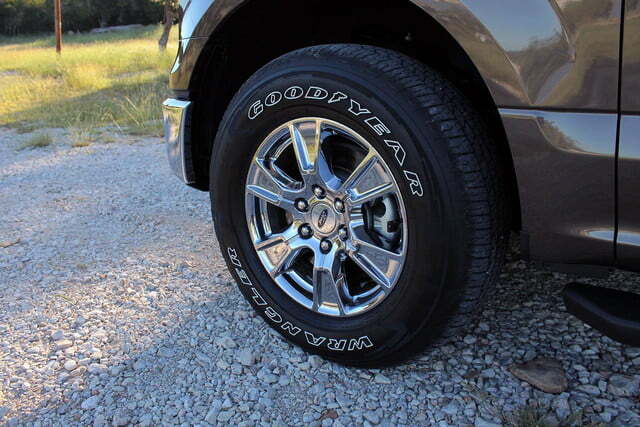 This means more off-road capability for those trips off the beaten path. 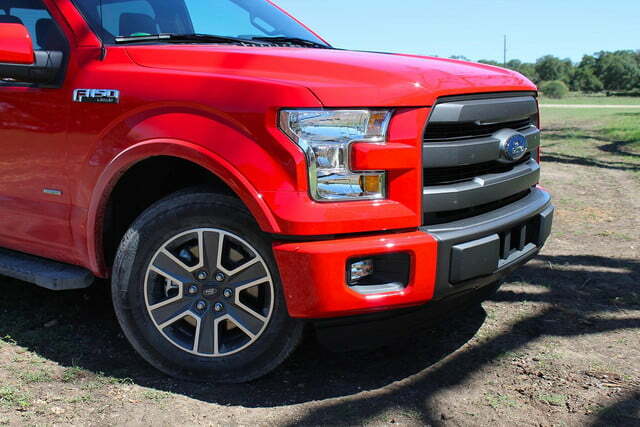 EPA fuel economy figures are still forthcoming for the F-150, but given that the 3.5-liter EcoBoost (16/22 mpg 2014) and 5.0-liter V8 (15/21 mpg 2014) engines are carryovers, expect significant increases in efficiency with the decreased weight. 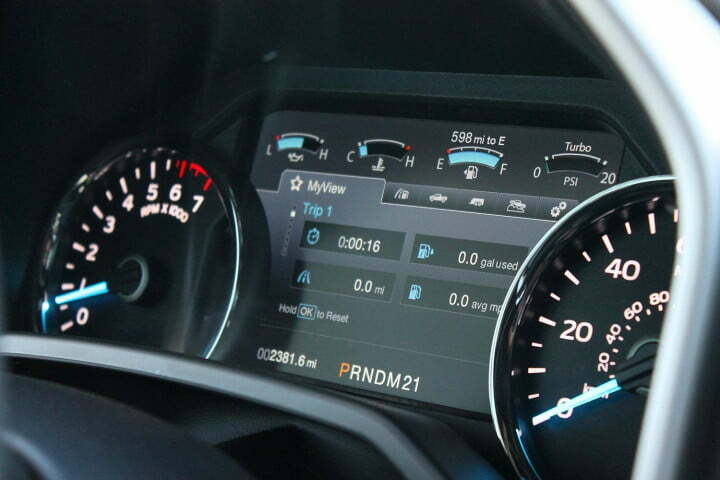 The 2.7-liter should post impressive numbers as well, with a gas-saving Start-Stop feature coming standard. 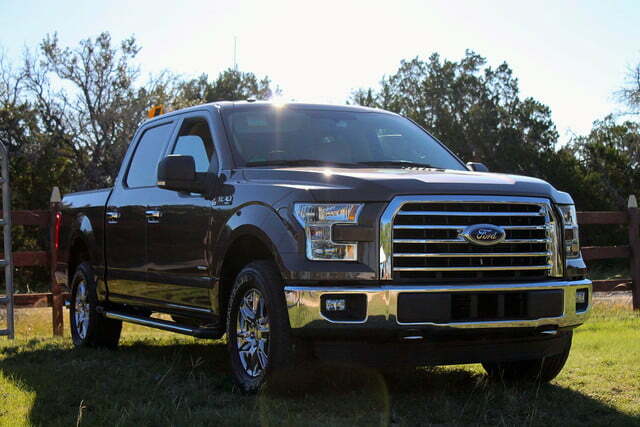 The twin-turbo V6 is officially rated at 325 horsepower and 375 lb/ft of torque, and has a max tow rating of 8,500 lbs. 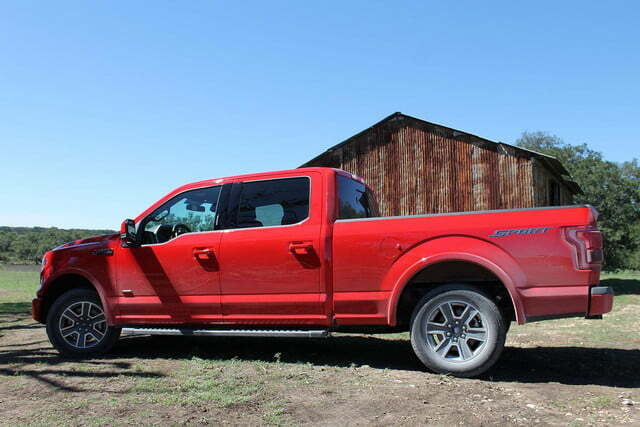 To improve the F-150, Ford basically went to a tried-and-true sports car formula: power to weight instead of more of both, and technology to bolster driver capability. 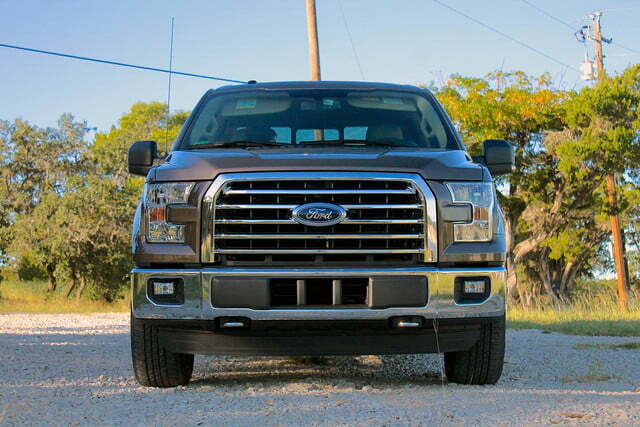 The result can be expensive (it starts at $25,420 but can reach over $60,000 when fully optioned), but if I were a betting man, I’d put a dollar on the F-Series to continue its run as the best-selling truck in America. 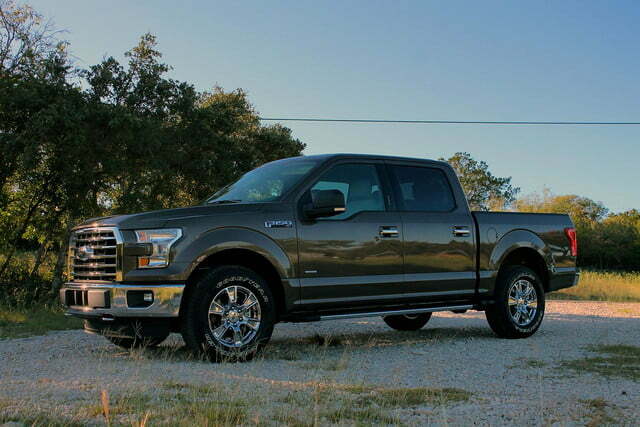 Throughout the vehicle’s Texas-based first drive event, Ford’s engineers constantly referred to the F-150 as the toughest, smartest, and most capable version ever. And you know what? They’re right.